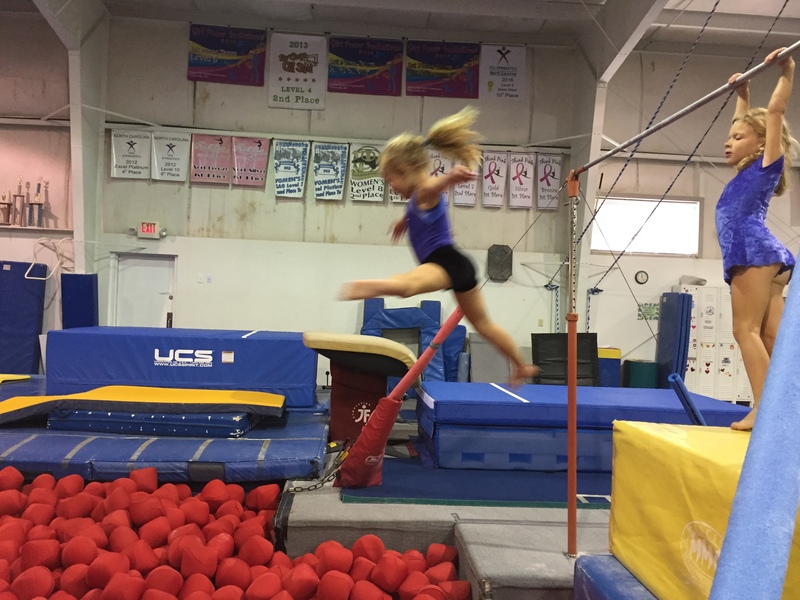 We have classes available for all ages and ability levels. All you need is interest and a desire to learn. We will be closed Good Friday and Saturday of Easter weekend. We will be on our regular schedule the week of the Pitt County Schools Spring Break. Try-outs for Pre-team and Team for Girls, May 11 at 12:30 PM;$10 for members, $25 for non-members. Call the office to sign up: 252-321-7264. Click on the "class schedule" button. You may also use the "Parent Portal" to see your account, if you are a member. Summer Camps are available for 9 weeks starting in June – half day or full day. Holiday camps are offered in December. This is a safe, loving, nurturing and educational session with age appropriate academic lessons, gymnastics lessons, crafts, snacks, indoor and outdoor play. Registration is open for all classes. Use the Parent Portal on the Home page to set up an account, enroll, etc. Space is limited. Call today to see what is available.